Dr. Ash has been in education for 28 years. He has taught at Smith County High School, Brentwood High School, and LaVergne High School. Dr. Ash taught many things but primarily AP chemistry, honors chemistry, and physics. He has served as the head football coach, head baseball coach, track coach, and basketball coach. Dr. Ash began his administrative career as an assistant principal at LaVergne High School. He then had the privilege of being the first principal of Christiana Middle School. Dr. Ash served in that capacity until he was hired as the principal at Central Magnet. Dr. Ash has a Bachelor's degree in Secondary Education/Chemistry from Tennessee Technological University. He has a Masters in Administration and Supervision from Trevecca Nazarene University. Dr. Ash also has an Educational Specialist degree from Middle Tennessee State University as well as a Doctorate in Education specializing in administration and supervision from Tennessee State University. Dr. Ash has been married to his wife, Jennifer, for 26 years. The couple has two children, John and Megan. 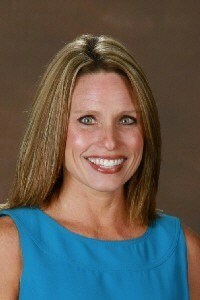 Amy Dillard Guthrie is a graduate of Goodpasture Christian School and is a native of Nashville. She had the privilege of signing the first softball scholarship at Belmont University and was a consecutive All Conference Player and later named as an NSCA Second Team All- American. During her time at Belmont, her team participated in two NAIA National Tournaments placing 5th and 7th in the Nation. Amy Guthrie has been teaching in Rutherford County for 19 years. She has been teacher of the year in 2009 and 2011 as well as Rutherford County District Level Teacher of the Year. She has served as a reader for the Princeton Review, a Pearson cut score analyst and a Quality Assurance Review Team Member for AdvancEd. She has a Bachelor of Science Degree in Health and Wellness from Belmont University completing her internship at St. Thomas Hospital. Additionally, she has an emphasis in English Literature and a Minor in Education. She has a Master’s Degree in Curriculum and Instruction from Trevecca Nazarene University and a Doctorate in Educational Leadership. Dr. Guthrie successfully defended her dissertation in 2004 with her study of Year Round Schools: A Study of Student Achievement. In the spring of 2012, she completed +30 hours of post-doctoral studies in Educational Leadership with an endorsement in Administration and Supervision. Michelle Huffman began her educational career in her home state of Arkansas in 1997. After moving to Tennessee, she was hired by Rutherford County in 2002. Mrs. Huffman taught social studies classes at Christiana Elementary School and Christiana Middle School where she also served as a mini school team leader, cheer coach and sponsored several clubs. Mrs. Huffman has been a part of the Central Magnet School faculty since its inaugural year in 2010, teaching in the middle school, high school, and as the College and Advisory Coordinator. Mrs. Huffman received her Bachelor of Science in Education from Henderson State University and her Masters of Education in Educational Leadership from Lipscomb University. She is married to Randy and they have two daughters, Maggie and Audrey.